Man shot in knee – was it accidental? Police begin investigating this shooting in this Hazelwood neighborhood apartment complex, where a man reportedly shot himself in the knee. 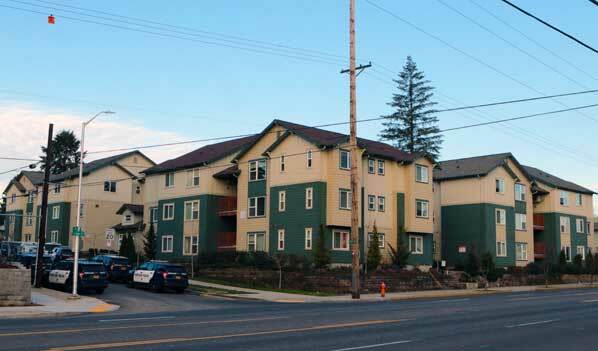 The report of a shooting at the Stark Street Villa apartments, at 12727 SE Stark Street, on January 25, brought emergency first-responders to the complex at 3:03 p.m. that afternoon. 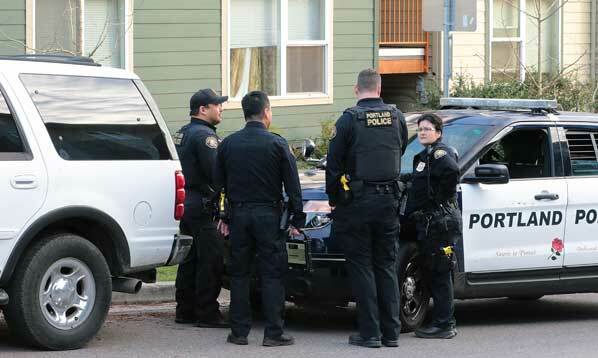 Nine Portland Police Bureau (PPB) East Precinct officers arrived, as did the advanced life support paramedics of Portland Fire & Rescue Mill Park Fire Station #7, and an ambulance. -2 At the shooting site, officers discuss their findings. While the medical personnel worked to stabilize the condition of a man who had reportedly been shot in the knee, officers looking into the circumstances told their dispatcher that the man didn’t know how he got shot, or who had shot him. “Officers located an injured adult male; the injury is believed to be non-life- threatening,” confirmed PPB Public Information Officer Sgt. Brad Yakots. The wounded man was transported by ambulance to a local hospital. -3 Additional resources, including officers with the PPB “Gun Violence Response Team”, arrive to help with the investigation. 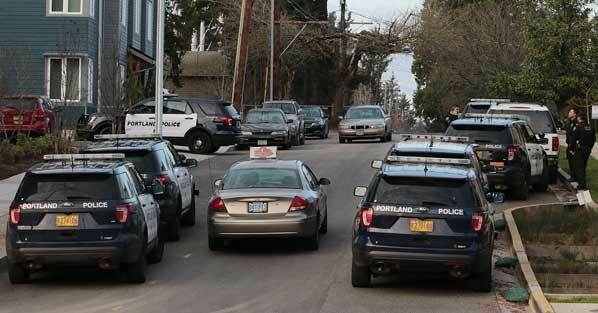 East Portland News spoke with people, who said they lived in the complex and were watching the officers at work. 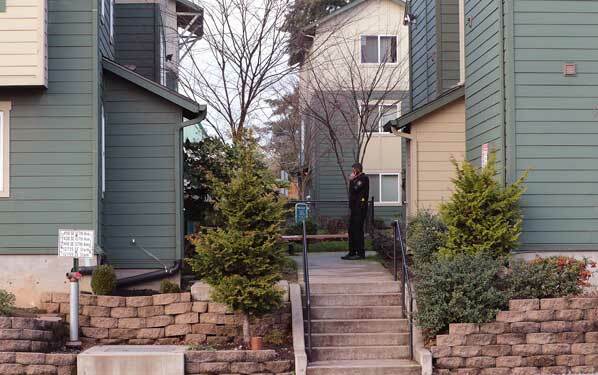 Neighbors surmised that what took place was that the victim may have accidently shot himself. There was no evidence of gang violence, for a change – and the shot apparently was fired at close range. The investigation continues at this apartment complex. Intentionally shooting a gun inside an apartment would pose an immediate danger to others in the complex, and would be illegal – but an accident, such as when cleaning a gun for example, might not be considered an incident meriting an arrest. And, such a circumstance would not be considered a continuing threat to the public.